Rome, February 7th, 2019 – Italy On Tuesday February 12th, 2019, the WFO Headquarters will host the first technical meeting of the “Climakers”, the members of the Farmers Driven Climate Change Alliance. The meeting will be the occasion to discuss the next steps of the Farmers Driven Climate Change Agenda and identify the key actions and strategies in 2019. Launched in Katowice, Poland, within the context of the UNFCCC COP 24 Farmers Day, this initiative, conceived by the World Farmers’ Organisation (WFO), aims to enhance the role of the farmers in the global political discussion on climate change. Although the agricultural sector is often identified as a cause of climate change, farmers hold an important part of the solution to address the challenges of addressing climate change and its impacts. To this extent, farmers have great expectations on the fact that the political decisions consider their needs and expectations. As none can work alone, the farmers of the world are joining hands in a global alliance among them and with the research institutions, private sector associations, the civil society and multilateral organizations, in a Climate Change Alliance led by farmers. Currently the Alliance consists of: Agriculture Alliance of the Caribbean (AACARI), Southern African Confederation of Agricultural Unions (SACAU), European Council of Young Farmers (CEJA); Eastern Africa Farmers Federation (EAFF) and Maghrebian and North African Farmers Union (UMNAGRI) as Farmers’ Organisations; International Fertilizer Association (IFA), CropLife International and International Seed Federation (ISF) as Private Sector Associations; CGIAR Research Program on Climate Change, Agriculture and Food Security (CCAFS) as Universities and Research Centres; Climate Smart Agriculture Youth Network (CSAYN) as Civil Society Organizations. Guest representatives from relevant Multilateral Organisations, such as the Food and Agriculture Organization of the United Nations (FAO), the International Fund for Agricultural Development (IFAD), the World Food Programme (WFP), Bioversity International, the Global Alliance on Climate Smart Agriculture (GACSA), the Global Research Alliance on Agricultural Greenhouse Gases (GRA) and the World Bank, have been invited to an informal exchange on the Climakers initiative and their potential contribution to it. 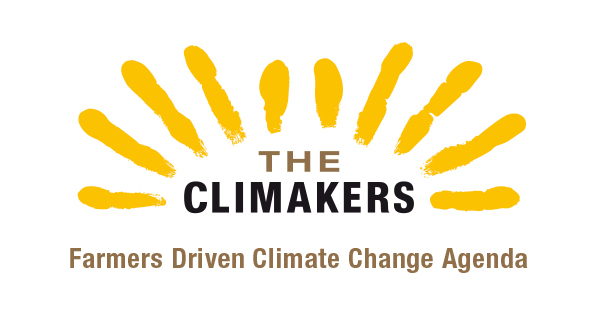 THE CLIMAKERS are the members of the Farmers Driven Climate Change Alliance, which is to say all the farmers of the world and all the stakeholders in the agricultural sector that are committed to provide solutions to climate change, working together to strengthen farmers’ capacity to influence the Governments’ decision-making process on climate change.